☮ I am from a very long line of Quakers (named for Leuren DeCouer, a French Huguenot who came to the US 200 years ago) and I am extremely opposed to war, but it has been a long process to understand the underlying issues of war. Especially, now that I have worked in two nuclear weapons labs, and also understand that war benefits a very few and makes them tremendously wealthy at the high cost of the many and destruction of the environment. War is obsolete. We can no longer afford to waste natural resources, economic wealth, and globally harm the health of the environment and global public health for the purposes of needless war. We need to live with less so that others can live - and I mean all forms of life. 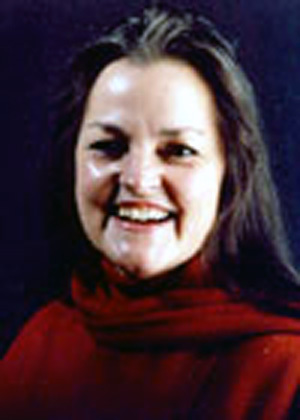 Leuren Moret was an expert witness at the International Criminal Tribunal For Afghanistan at Tokyo. She is an independent scientist and international expert on radiation and public health issues. She is on the organizing committee of the World Committee on Radiation Risk, an organization of independent radiation specialists, including members of the Radiation Committee in the EU parliament, the European Committee on Radiation Risk and she is an environmental commissioner for the City of Berkeley. Ms. Moret earned her BS in geology at U.C. Davis in 1968 and her MA in Near Eastern studies from U.C. Berkeley in 1978. She has completed all but her dissertation for a PhD in the geosciences at U.C. Davis. She has traveled and conducted scientific research in 42 countries. She contributed to a scientific report on depleted uranium for the United Nations sub commission investigating the illegality of depleted uranium munitions. Marion Fulk, a former Manhattan Project scientist and retired insider at the Livermore Lab, who is an expert on radioactive fallout and rainout, has trained her on radiation issues. Articles she wrote on DU were translated into Indian languages and increased awareness of and concern about DU in India. Her article "Depleted Uranium: The Trojan Horse of Nuclear War" in the June 2004 World Affairs Journal, and was translated at the request of the Kremlin for distribution throughout the Russian government. The Lone Star Iconoclast, hometown newspaper of President Bush, interviewed her for a series of interviews, " Depleted Uranium? A Scientific Perspective", which are now attached to US Congressman McDermott's 2005 depleted uranium bill HR 2410 in the US Congress. Her City of Berkeley 2003 resolution banning weapons in space was followed by a Space Preservation Treaty Resolution adopted by seven sister cities in British Columbia, Canada, contributing to Prime Minister Paul Martin's decision in February 2005 to abandon his secret agreement with President Bush to allow NMD in Canada. Leuren Moret is a Livermore nuclear weapons lab whistleblower, an Environmental Commissioner in the City of Berkeley, and testifies as a depleted uranium expert in the new documentary film Beyond Treason. "Depleted uranium: Dirty bombs, dirty missiles, dirty bullets: A death sentence here and abroad"
(#4) High Uranium Levels Found in Troops and Civilians.